According to the Ericsson, the monthly data usage per smartphone (GB/month) in India will increase five times from 3.9GB in 2017 to 18GB by 2023. India, with 1.185 billion mobile users in the third quarter this year, will see a surge in mobile data traffic that is expected to grow 11 times - from 1.3 Exabytes to 14 Exabytes by 2023. According to the Ericsson Mobility Report, the monthly data usage per smartphone (GB/month) in India will increase five times -- from 3.9GB in 2017 to 18GB by 2023. "We expect LTE to be the most dominant technology in India by 2023. LTE will account for more than 60 per cent of the total subscriptions in the country by 2023 compared to the 12 per cent subscriptions in 2017," Nitin Bansal, Managing Director, Ericsson India, said in a statement. 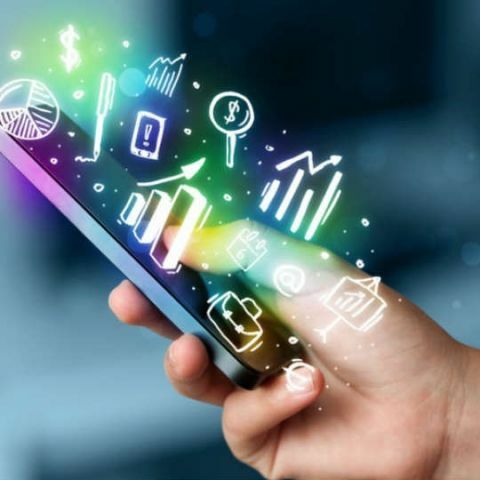 The report estimated that there will be nearly 800 million VoLTE subscribers in India by 2023 -- growing at a CAGR of 42.5 per cent between 2017 and 2023. On the global level, the report said that 5G will cover more than 20 per cent of the population six years from now. Ericsson predicted that there will be one billion 5G subscriptions for enhanced mobile broadband by 2023. The first commercial networks based on 5G New Radio (NR) are expected to go live in 2019, with major deployments from 2020. Early 5G deployments are foreseen in several markets, including the US, South Korea, Japan and China. The report said that mobile data traffic is expected to surge by eight times during the forecast period, reaching 110 Exabytes per month by 2023. This corresponds to 5.5 million years of HD video streaming. By the end of this year, LTE will be the dominant mobile access technology. It is estimated to reach 5.5 billion subscriptions and cover more than 85 per cent of the world's population by the end of 2023. "The report examines the emergence of new use cases as network capabilities evolve -- smartwatches, IoT alarms, and augmented reality-assisted maintenance and repair, to name a few," added Niklas Heuveldop, Chief Strategy Officer and Head of Technology and Emerging Business, Ericsson. "As we prepare for 5G, these trends will continue to set the agenda for the mobile industry going forward," Heuveldop said.